Our houses of memory include museums, archives, libraries, and galleries. They present items and collections of material that remind us of our identities: the myths, traditions, and relationships that combine to create our collective history. As the philosopher Charles Taylor wrote, “our identity is partly shaped by recognition.” We locate ourselves in these materials. In an archives the depiction of interrelated and unique records builds the collective memory of our society. As Taylor expanded, there is an important link “between recognition and identity, where this latter term designates something like a person’s understanding of who they are.”1 Taylor suggests these depictions will ultimately affect self-worth and even damage with negative, limiting, or untrue depictions. However, the Archivist’s mission is not to deliver relative truth; rather, we strive to present records in their original complex contexts so that others may pursue their own truths. We must nevertheless recognize our standards are those of western civilization. We catalogue, arrange, and index; we use textual models to organize oral histories, we identify indigenous art and artists within western genres, describe their artistic efforts as “works,” and apply a selection of “rights” the creator never intended. As Taylor noted, “by implicitly invoking our descriptive standards to judge all civilizations and cultures, the politics of difference can end up making everyone the same.”2 In short, to describe another is to potentially limit, co-opt, embed, and even demean.3 This is the archival dilemma. One finds occasionally a set of records that embodies this challenge. The records of Ida Halpern are such a collection: the layers of relationships, languages and unsettling cultural encounters across unfamiliar contexts defy archival description. Try to imagine a Jewish refugee from Nazi Germany, who possesses a doctorate in music of “the folk” from the University of Vienna, a native-speaker of German who becomes an accidental student of West Coast First Nation’s culture, performed in languages and music unlike any she’d ever heard. Not surprisingly, the significance and meaning of the sacred and personal recordings of Indigenous music are sometimes lost in the translation of Halpern’s descriptions. Referencing her University of Vienna studies she explained in her immigration process that “she wished to collect and to write down Canadian folk-music, looking for the sources directly at Canadian farmers.”4 Her work landed a little wide of this mark. Halpern left Vienna with her husband in 1938. After a brief time in Hong Kong, the couple arrived in Vancouver in August 1939. Following several efforts to meet and record the music of First Nations elders, in 1947 she finally received an invitation from Chief Billy Assu to come to Cape Mudge and record the ceremonial and traditional music of a group from the Kwakwaka’wakw peoples. By the end of her work, Halpern had acquired cultural recordings of such notable indigenous artists and leaders as Mungo Martin, George Clutesi, Dan Cranmer, and Stanley Hunt. She donated her 342 songs to the BC Archives and Records Service in 1984. She followed this with another donation in 1989-90. 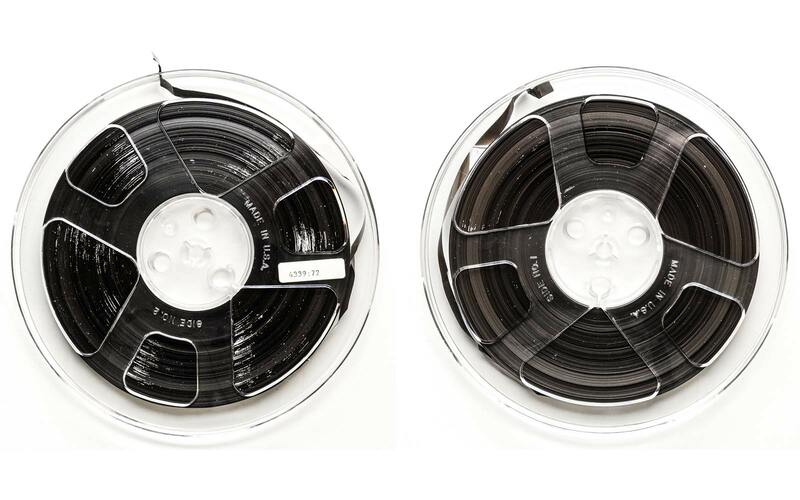 The Royal BC Museum is tasked with the project to arrange, describe, preserve, and make available the Ida Halpern records, a fonds that embodies many of the fundamental cultural challenges of the archival endeavour. The Halpern project contains both research and theoretical components. It combines digital technology with a new perspective on description and preservation applied collaboratively to of one of the RBCMs more culturally significant sets of archival records. The theoretical goal of the project is to further refine an interpretive archival method for the description of colonial records of Aboriginal peoples. Our traditional archival paradigms have evolved from a textual understanding of historical resources and the proper means for their preservation. This descriptive approach applies poorly to the traditional memory practices of non-textual societies. Whenever important oral traditions and customs have been captured in text, there is a basic loss of vital context. And when set aside for future reference, accessed by arbitrary descriptions, their use becomes a caricature of their original purpose. This is because the captured, outward expression of indigenous custom is not the core of its probative significance; evidence is a relationship matrix rather than a simple fact. The question is how do integral customs and traditions survive and adapt without succumbing to the western archival framework that envelops them? The role of the ongoing indigenous creative context is fundamental. There is a need for a self-defined process to express the contingent, the particular, the local and inductive within the interpretive framework of local social sanction and collective remembrance. And of course all of this must be safeguarded over time. 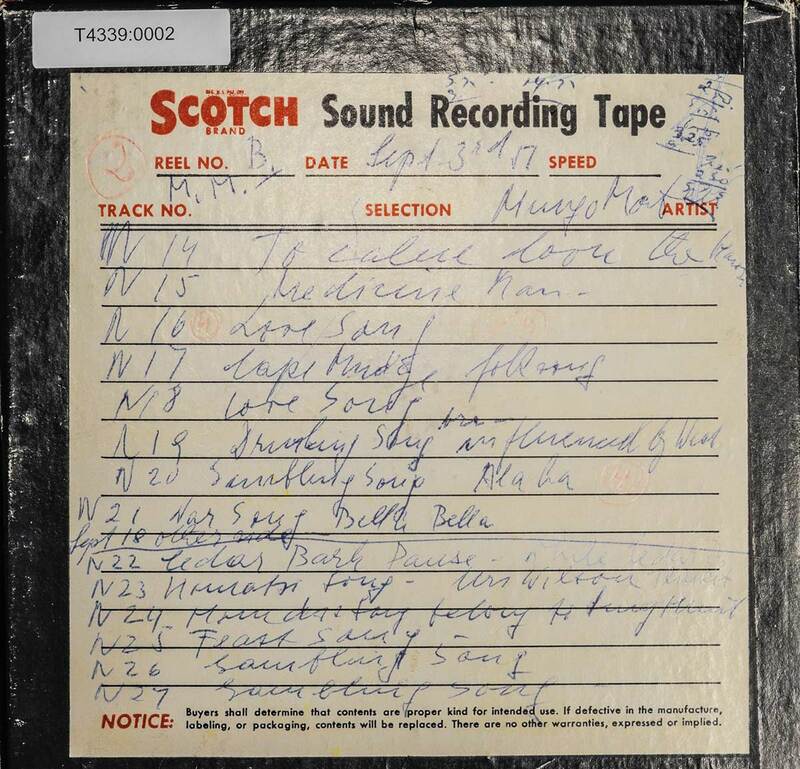 Box of audio tape annotate by Halpern. Tape holds some of the 342 indigenous songs Halpern recorded. The textual divide is further complicated in the context of colonialism. For years critics have described archives as subjective sites of memory selecting records to depict a particular kind of settlement identity. They claim archives represent a locale of power over public memory and history: “power over how the record is interpreted,” represented and accessed.6 These questions of textuality and colonialism have been more directly addressed in law. Increasingly the legal community argues that Courts must more closely consider the provenance and reliability of records of colonial settlement. Since the countervailing perspective is most often captured in Aboriginal oral histories and other traditional, non-textual practices, Courts must reconcile Aboriginal oral testimony as legal evidence. The objective is an intercultural dialogue that supports “popular sovereignty of multicultural societies.” This need to recognize aboriginal evidence was famously described in the 1996 Van der Peet decision as a greater indigeneity in court. Archivists should also be open to consider a greater inidigeneity in practice. To date we remain tied to an Enlightenment textual model where the potential for intercultural dialogue is privileged to those who understand the grammar and semantics of archival description. The project to arrange, describe, and provide digital access to the Halpern recordings is a project to research how to best represent aboriginal evidence located in non-textual sources. To describe oral and other traditional remembrance practices beyond the context of traditional archival description. Some of the Halpern reel-to-reel 1/4″ audio tape suffered from a conservation condition known as “sticky shed syndrome.” The tape was beginning to stick together [due to binder hydrolysis]. The treatment is to draw moisture from the tape binder by baking in a laboratory oven at a low and constant temperature: 50C for 8 to 48 hours. The white residue removal required swabbing with isopropyl alcohol. The treatment has been successful and digitization is progressing. The records in the Ida Halpern fonds represent a unique and irreplaceable documentation of the culture and identity of First Nations communities across the Pacific Northwest. The records are particularly significant for their sound recordings. Halpern began her sound recording project in 1947 and continued to record First Nations’ ceremonies and practices for almost 30 years. She recorded 342 sound recordings of first Nations ceremonies and cultural events. Several features of this collection of recordings make them particularly valuable. First, Halpern’s musical background gave Halpern the skills to make unprecedented musical analysis of First Nations musical works. Second, Halpern arrived on the Northwest Coast at the cusp of a popular appreciation for art and culture of local First Nations societies. Third, many of the elders Halpern recorded were willing to offer songs, naming ceremonies and other creations because they recognized the generational decline in the common usage of their indigenous culture. 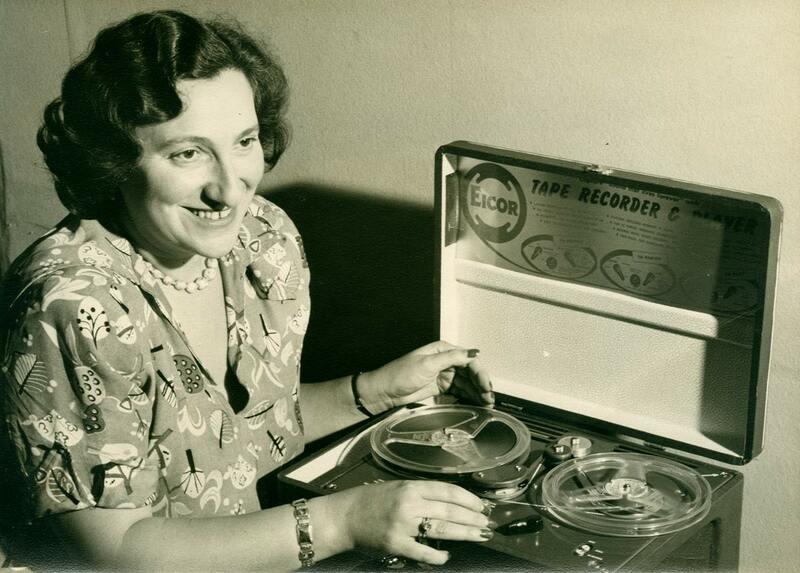 Because of the timing of her arrival, Halpern captured an unprecedented volume of sound recordings of valuable cultural creations from leading elders in Kwakwaka’wakw, Nuu-chah-nulth, Tlingit, Haida, and Coast Salish communities. The project also provides the opportunity to take a new look at restrictive, library oriented description practices that continue to hamper the archival description of complicated cultural records.5 Descriptive fields in our professional standard, Rules for Archival Description (RAD), such as Publication Date and Edition Statement, were taken straight from the International Standard of Bibliographic Description (ISBD) and are difficult if not impossible to impose on records of indigenous culture. Even the concept of a single creator coheres poorly to the distributed governance practises and collaborative performance and review of most First Nations’ ceremony. A similar problem is found in a digital domain where distributed custody and authorship is fragmented and unclear. Even the Library of Congress is revisiting their ISBD standard to accommodate the digital challenge. So a reassessment of RAD using the Halpern fonds is timely and appropriate. The project also raises possibilities for collaborative description. There has been an understandable caution regarding the privacy and sacred status of First Nations traditional recordings in the Halpern collection like many groups of records in the archives. Halpern did not sign agreements with the performers she recorded. Her donation agreement to the BC Archives and Records Service concerning access is equally vague. And her knowledge of the First Nations communities she documented was not strong. It is well to remember, this is a researcher who did a PhD on the music of Shubert. But we do have models to turn to for the purpose of collaboration with First Nations on the topic of rights. The RBCM proposes to consult First Nations communities in the manner of a project currently under way at Washington State University. The Plateau Center for American Indian Studies at Washington State University and tribal consultants from the Umatilla, Coeur d’Alene and Yakama nations have worked together to create the Plateau Peoples’ Web Portal, a gateway to Plateau peoples’ cultural materials held in Washington State University’s Libraries, Manuscripts, Archives and Special Collections (MASC), the Museum of Anthropology and national donors including the National Anthropological Archives at the Smithsonian Institution. The materials in the portal have been chosen and curated by the First Nations. Band administrators, working with their governments, have provided information and their own additional materials to the portal as a means of expanding and extending the archival record. Through the portal, band administrators can add local knowledge, edit descriptions, and identify culturally sensitive material. Bands can also formulate access levels to their own private collections. Such layers of narrative provide better understanding and enrich the records’ context. Social media applications will also add to the participatory research experience and avoid the static, isolated presentation of traditional archival description. The voices Halpern captured in her records span, in a scattered manner, the cultural and social landscape of the indigenous West Coast. In its scope of collection the fonds represents a remarkable effort. For her time, Halpern displayed an uncommon concern for the culture and identity of indigenous peoples and the art they created. Today her descriptions of songs demand much greater depth, a depth that is best added by the associated social groups. The Halpern materials are known in the communities that they document; indigenous representatives have expressed interest in participating in a more sensitive, fuller depiction of the indigenous music and language in the Halpern fonds. It is now time encourage the residents of our houses of memory speak fully in their own voices. Charles Taylor, “The Politics of Recognition,” in ed. A. Heble, D.M. Pennee, and J.R. Struthers, New Contexts of Canadian Criticism, Broadview Press, 1997. Richard Dancy, “RAD Past, Present, and Future,” Archivaria 74 (Fall 2012): 7–41. Terry Cook, “Archival Science and Postmodernism: New Formulations for Old Concepts,” Archival Science, I, 3-5, (2001). While at the UofA I worked one of the more interesting fonds I've researched. The William Pearce fonds, which I endeavoured to digitize. After digitizing and indexing over 1500 items, not even a third of the fonds, I realized the enormous dilemma of digitizing colonial records. Ida Halpern Photo by Richard Harrington. Box & Tape photos by Raymond Frogner.